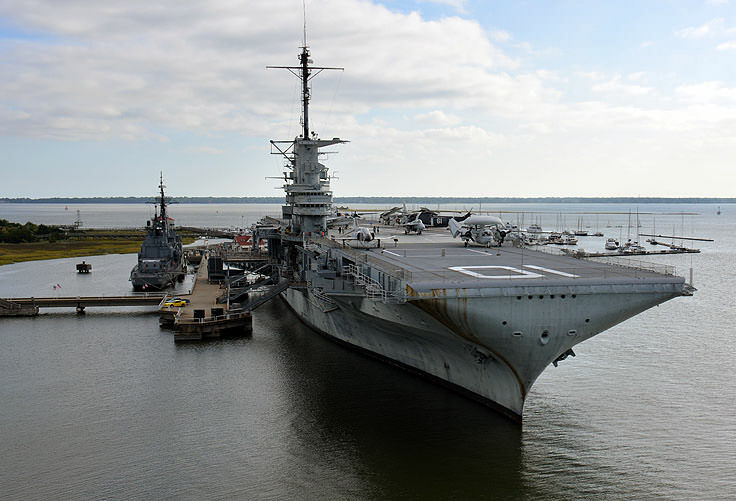 The Patriots Point Museum gives naval history fans and curious sightseers of all tastes a glimpse into life on board a world class World War II aircraft carrier and beyond. 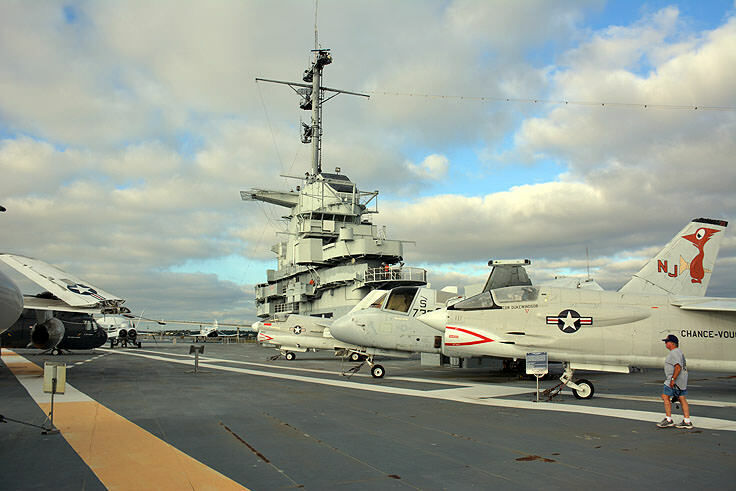 The expansive complex, which includes the USS Yorktown aircraft carrier, (permanently docked at the harbor), a collection of military aircraft, submarines, other vessels, and a wide range of separately housed exhibits which chronicles in detail America's wartime history, is nothing short of impressive. 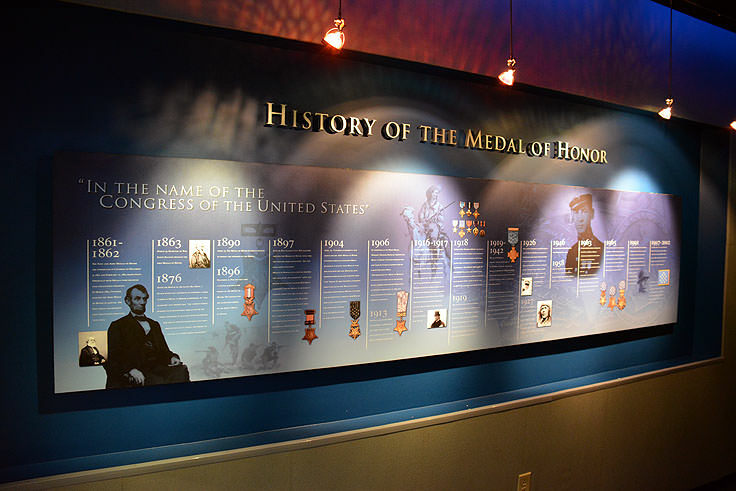 Requiring a full day at least to explore all the time-honored exhibits both on and off the water, the Patriots Point Museum gives visitors a thorough overview of South Carolina's military history, while honoring its veterans with a grand salute. 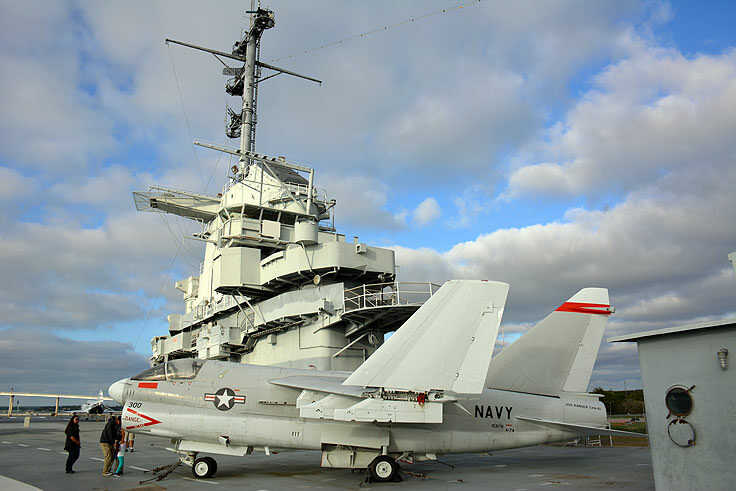 The Patriots Point Museum initially garnered national attention in the 1970s, as the newly established and permanent home of the recently decommissioned USS Yorktown, an honored aircraft carrier that was first built during World War II. The ship served in several campaigns in the Pacific Theater of Operations, and earned 11 battle stars in addition to the Presidential Unit Citation during her WWII tour of duty. Initially retired after World War II ended, the carrier was quickly put back into action, with a host of modernized upgrades, in the 1950s as an attack carrier, later serving as an antisubmarine carrier. While the USS Yorktown missed the Korean War, she nevertheless served may years in the Pacific, including a long stint during the Vietnam War in which the ship won an additional 5 battle stars. When the country was at relative peace, the USS Yorktown took on new work as a recovery ship for Apollo 8, and as a set peace for the movies "Tora! Tora! Tora!" and "The Philadelphia Experiment." The ship was finally decommissioned for good in 1970, and in 1975, became the centerpiece for the new Patriot's Point Museum in Mt. Pleasant. Today, visitors can tour the historic ship from the top level decks to the intricate engine rooms and sleeping quarters that lay far below. 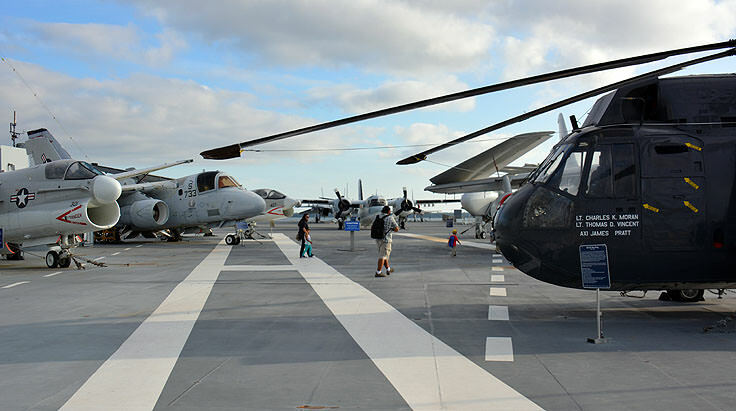 Tickets to the ship range from $11 for children to $15 for active military with ID and seniors 62 and over, to $18 for everyday adult visitors, while military personnel in uniform are always free to step on board and explore at any time. 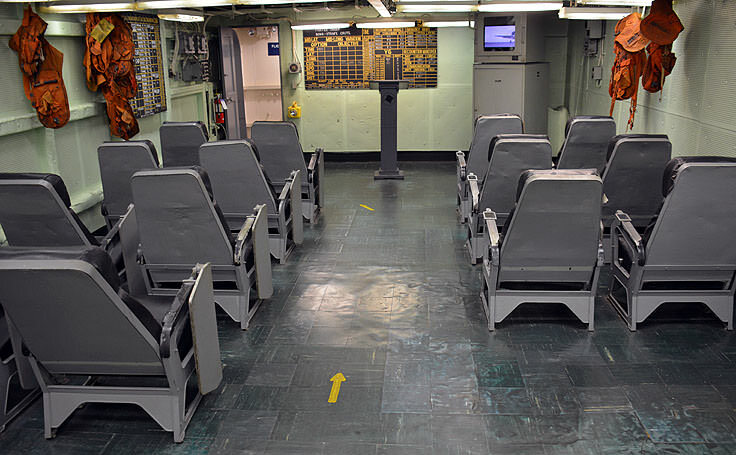 A number of exhibits are also housed within the carrier, including the Medal of Honor Museum, which includes biographies of all medal recipients, a flight stimulator, two hangar bays with a heavy handful of the museum's aircraft collection, and a snack bar by the fintail where visitors can take a well-deserved break from exploring the massive ship. 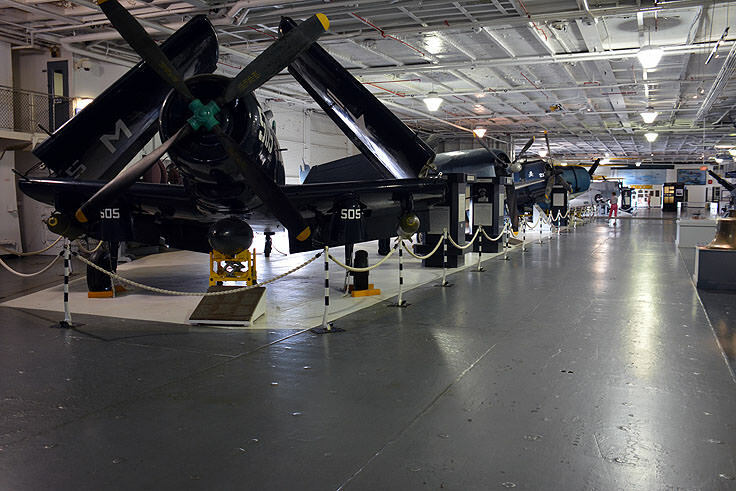 The carrier is also home to the Shipyard Museum, which is filled with historical anecdotes, photos, and artifacts from the Charleston Naval Shipyard's long and storied past, and the Smokey Stover Theater, which features seating for 250 patrons, and features enthralling and educational multi-media presentations including regular showings of the 1944 Academy Award-winning movie "The Fighting Lady." While the USS Yorktown may be the star attraction in the museum, she certainly isn't the only ship to find a noteworthy and permanent home at this Mt. Pleasant landmark. 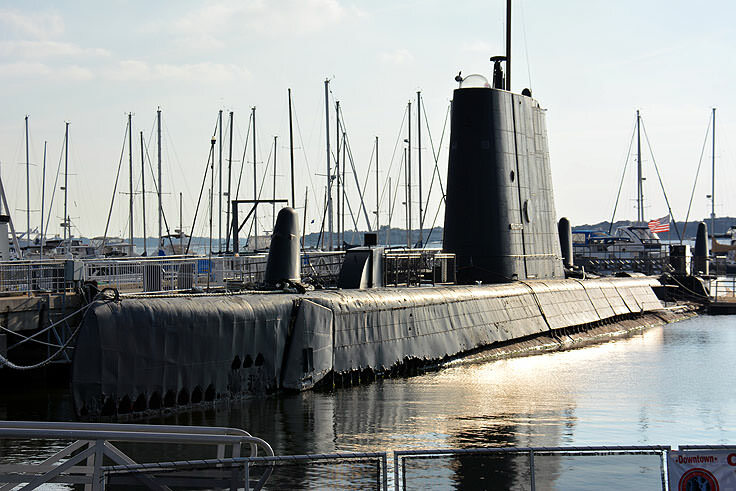 Visitors to the site can also admire the USS Clamagore, a vessel which served for 30 years during the Cold War, and remains the only Guppy III submarine preserved in the United States. 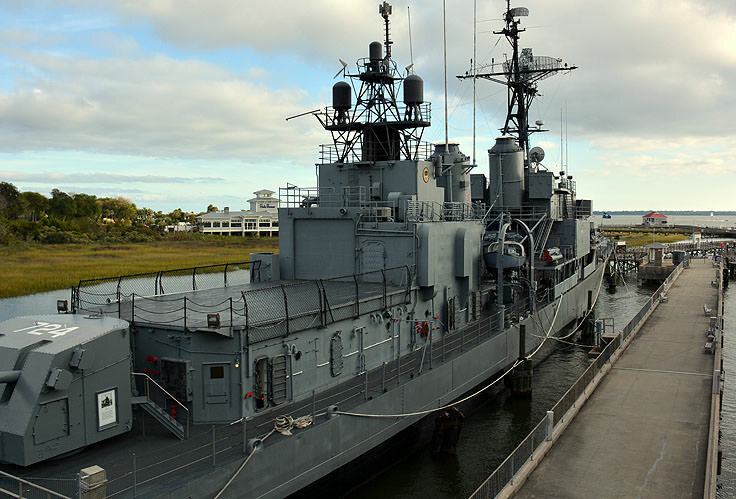 The USS Lafey is another museum treasure, as the 1944 era ship joined the Pacific Theater late in the game, but soon became a heavy target, requiring many needed repairs before serving as a support ship during an atomic bomb test in 1946, and later finding a permanent home at Patriots Point in 1981. 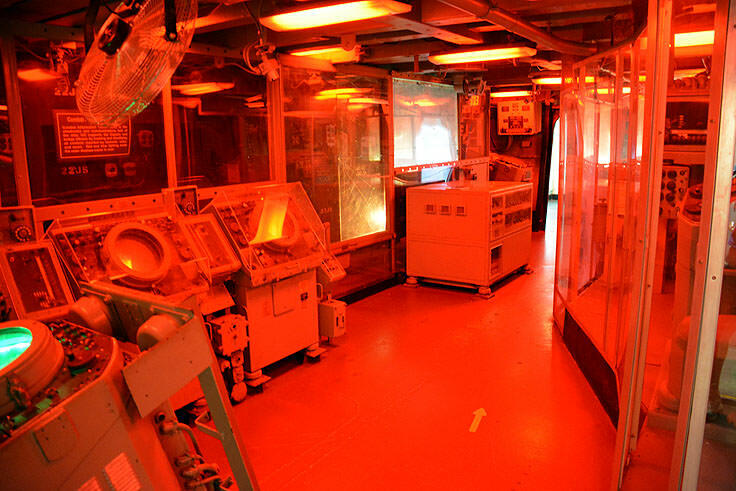 In addition to the exhibits on board the Yorktown, visitors can also tour the Cold War Memorial, housed within a submarine replica that includes the actual sail and rudder of the USS Lewis and Clark, and the Vietnam Support Base, a makeshift and true to life camp which features many of the various craft used in combat in the jungles and rivers of Vietnam. 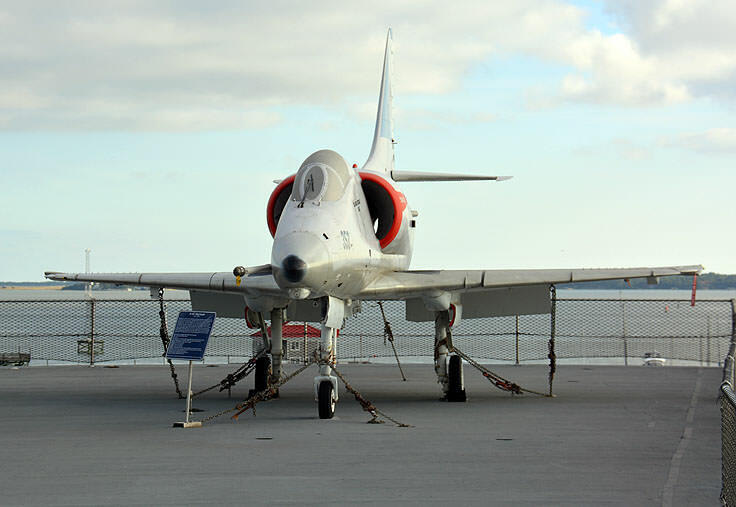 The museum also features an expansive arsenal of 25 naval aircraft, generally found on board the USS Yorktown. These planes span the century, and include notable war-time aircrafts including the Douglas A-4 Skyhawk, the Grumman A-6 Intruder, the Ling-Temco-Vought A-7 Corsair II, the McDonnell Douglas F-4 Phantom II, the Grumman F-9 Cougar, and the Grumman F-14 Tomcat. 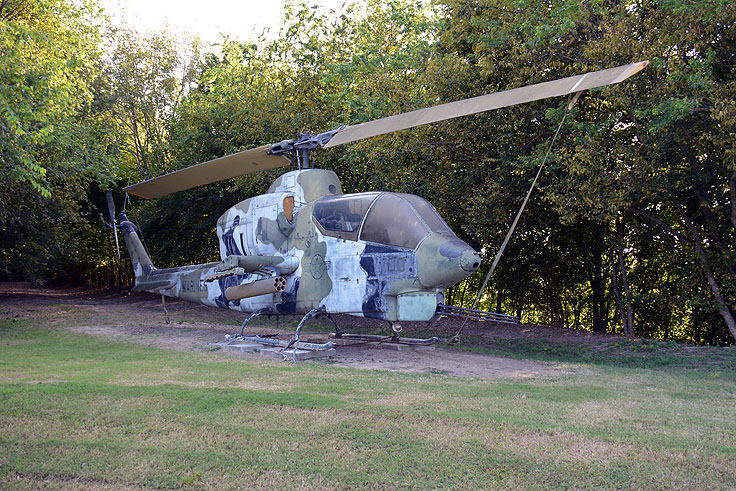 Additional vessels are located throughout the museum grounds, particularly at the Vietnam Support Base museum. 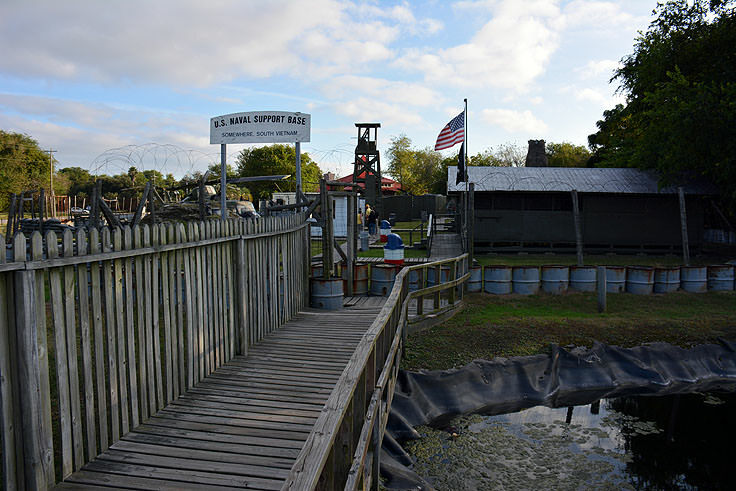 Access to all of these exhibits is included in the aforementioned admission prices, and visitors who want to tour all of the grounds at their leisure can even opt for overnight camping at a museum sponsored program which is geared to youth groups. Special consideration and programs are also available for large school or community groups, and a number of educational programs are held throughout the year. 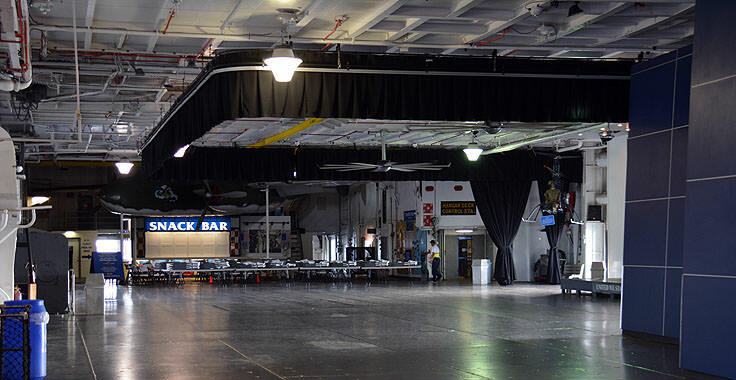 The museum is even open for private events, including weddings or reunions, and more information can be obtained online at https://www.patriotspoint.org/host_an_event/. 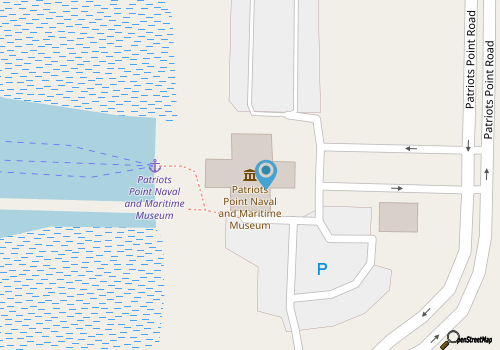 Out of town visitors who want to confirm their spot at the museum can also book tickets well in advance online at https://www.patriotspoint.org/. 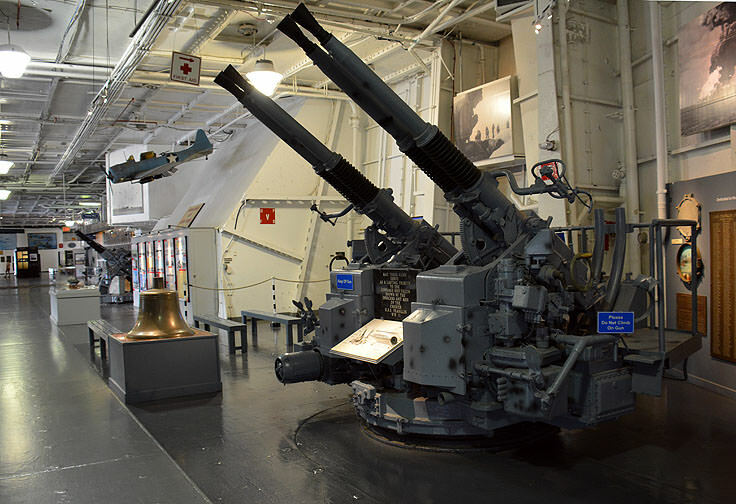 One general admission ticket allows visitors to tour all of the self-guided exhibits, from the Yorktown to the Vietnam Support Base, so visitors should plan to reserve a full morning, afternoon, or preferably an entire day for touring the sites. 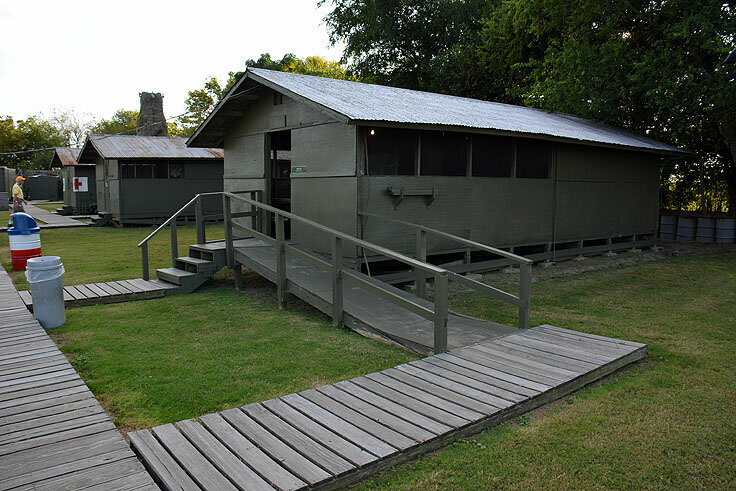 The museum is located just south of the main developed regions of Mt. 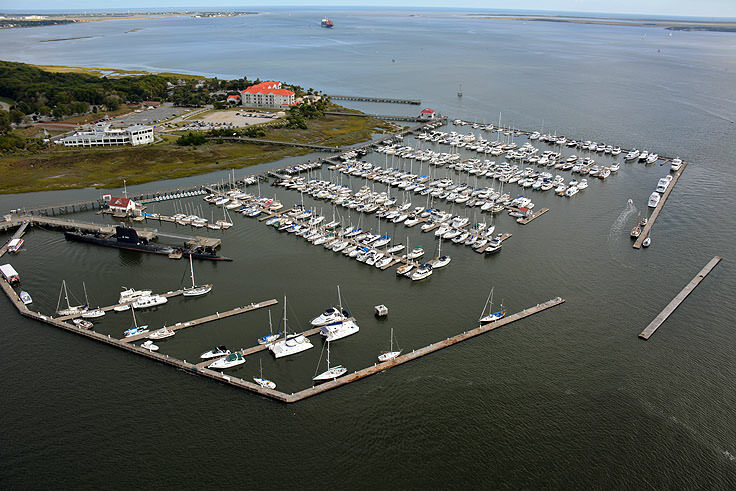 Pleasant, adjacent to Cooper River and the Fort Sumter Ferry. The Patriots Point Museum started as a grand destination in 1975 with the acquisition of the USS Yorktown, and the museum's reputation and collection of historical and fascinating military exhibits has simply grown in the decades since. Home to a wide range of 20th century aircrafts, ships, submarines, and complimentary exhibits, the museum is sure to instill a sense of American pride into any visitor, and fascinate patrons of all interests from the incredible riverfront views, to the towering vessels that are stationed just offshore, waiting to be explored.